Gearing your nutrition to better serve your heart is good for your ticker, and your overall well-being. It can be tricky to know the right recipe for heart health. There are many diet plans and strategies from which to choose. When sifting through the oodles of fad diets and fitness plans, a well-balanced approach with the right blend of heart healthy foods should be your target. A heart-conscious diet fundamentally supports healthy blood flow. Blood rides around the body on the highway of your circulatory system. It’s pumped by the heart and moves by way of arteries and veins. Your blood vessels (especially arteries) rely on a nutritious, well-balanced diet for their health and longevity. A diet filled with heart healthy foods contains nutrition to help maintain healthy circulation. The wholesome nutrition you’re looking for comes from a diet rich in fruits, vegetables, whole grains, and healthy fats and protein sources. Below, you’ll see five of the best heart healthy foods you can incorporate into your diet this week. They’re also nutrient-dense alternatives (containing a lot of important micronutrients per calorie) to some of the culprits of poor cardiovascular health. Heart healthy foods are rich in nutrients, healthy fats, antioxidants, and vitamins. Practicing a heart-healthy diet doesn’t require copious planning and preparation. There are simple things you can do throughout the week to gear your diet towards cardiovascular well-being. Simple substitutions and wholesome alternatives to junk food and snacks will help you support your heart’s health. Here’s your shopping list of five interesting foods so you can cook up a menu focused on heart health. Yep, you read it right. The fats in some fish—like salmon, sardines, and mackerel—support heart health because they’re densely packed with omega-3 fatty acids (also known as polyunsaturated fats or PUFAs). These essential fatty acids are important components to healthy cell membranes and provide a source of energy. Multiple scientific studies have indicated a possible tie between omega-3 fatty acid and regular heart patterns. 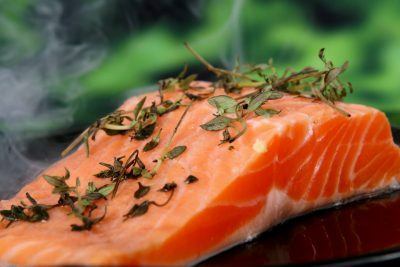 Current research indicates that diets rich in omega-3 fatty acids promote healthy blood vessel function. By keeping blood vessels in tip-top shape, omega-3 fatty acids can help keep your heart in good health. Eating fatty fish twice weekly is recommended by the American Heart Association (AHA). Fish is a great replacement for proteins high in bad fats—like red meat. Replacing two red-meat meals each week with fish will foster a better environment for heart health. Not to mention, the added bonus of consuming fewer calories from fat each week. A bowl full of oats is a great way to start the day. That’s because oatmeal has multiple layers of nutritional benefits. Your cardiovascular system will thank you for treating it to a good breakfast each morning. 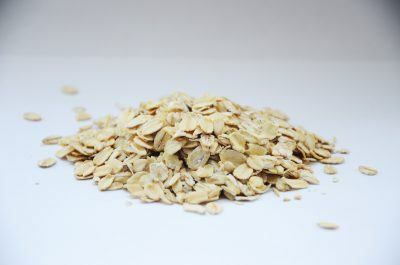 Oatmeal is loaded with soluble fiber and is well-known for promoting healthy digestion. According to the American Dietetic Association, high-fiber foods have merits beyond digestive health. Your heart’s health depends on fiber, too. 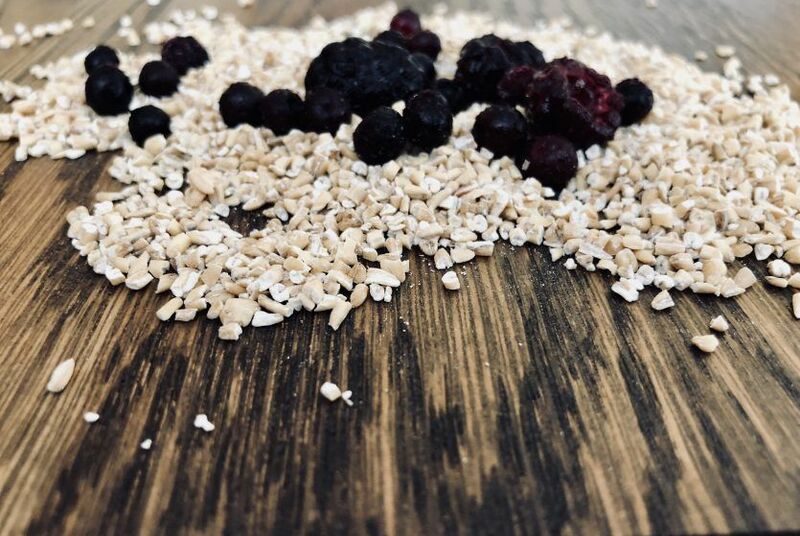 Fiber-rich foods (like oatmeal) serve your cardiovascular system by helping maintain healthy levels of low-density lipoproteins (LDL or “bad” cholesterol) in your blood—provided they’re already in the normal range. Large amounts of LDL levels in the blood can have adverse effects for your arteries and veins. The mechanism by which soluble fiber impacts LDL levels is still being researched. But many scientists believe that soluble fiber molecules are chemically “sticky” and disrupt the bonds that link LDLs together. Fiber can effectively then “pull apart” (or even keep them from sticking together in the first place) LDL molecules and help support already healthy blood cholesterol levels. Insoluble fiber is heart healthy, too. They’ve been shown to form a gel-like matrix and bind up many substances that impact heart health, including cholesterol. By reducing LDL cholesterol absorption into the blood, oatmeal and other fiber filled foods support healthy blood vessels. When choosing your meals for the day, reach for foods rich in fiber. The one-two punch of soluble and insoluble fiber is a heart-healthy combination. Berries are another great source of LDL-affecting soluble fiber, making them heart healthy foods. These juicy, delicious fruits are also brimming with phytonutrients and potent antioxidants. Polyphenolic compounds called flavonoids (plant compounds shown to have health benefits) make up the berry antioxidant profile. Antioxidants are great for your heart because they help maintain healthy pressure in your vessels. These compounds also protect your cardiovascular system from oxidative stress and free-radical damage. A bowl of berries is naturally low in calories and fat. That makes them a great option for a healthy body. Berries are sweet and add exciting flavor to smoothies and salads. 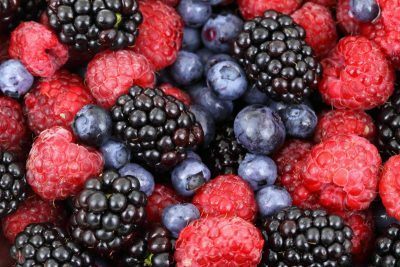 Snacking on berries instead of processed food helps keep sweet cravings at bay while promoting heart health. Berries also provide added fiber that supports healthy digestion. One of the most beloved dessert foods can also do wonders for your heart. 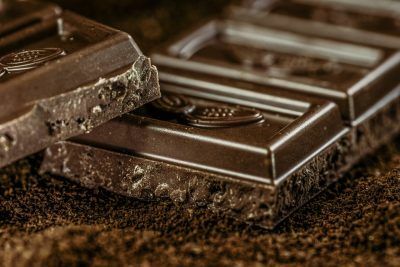 Dark chocolate (70 percent cocoa and above) has been shown to help maintain healthy blood pressure already in the normal range—a hallmark of cardiovascular health. Dark chocolate is rich in antioxidant compounds called polyphenols. These important phytonutrients support healthy circulation. Dark chocolate’s polyphenols also scavenge the free-radicals that can lead to oxidative damage. Research has shown that one of the major polyphenols responsible for the health benefits of dark chocolate is called epicatechin. The polyphenol has been shown to help blood vessels relax between heart beats. This relaxation means blood can flow more easily through blood vessels. And your heart likes that. Dark chocolate is a great source of epicatechin, but so are apples, green tea, and dark (seeded) grapes. Unfortunately, the same cannot be said for milk chocolate. Most chocolate bars and candies don’t meet heart-healthy criteria. Eat small squares of dark chocolate made with at least 70 percent cocoa. And eat responsibly. Chocolate is relatively high in calories and should be savored, not scarfed down. Trendy and tasty avocados rank high on the list of heart healthy foods. You can mash them and spread on whole-wheat toast. You can slice them to top off your fish tacos. No matter how they’re prepared, avocados are a delicious food that supports your heart. Avocados contain large stores of monounsaturated fatty acids (MUFAs). These healthy fats act like the omega-3 fatty acids found in fish. The MUFAs maintain healthy levels of bad (LDL) cholesterol—already in the normal range—and keep blood vessels in good repair. Avocados are also bursting with antioxidants and potassium. The essential mineral, potassium, is critical for heart health. Potassium helps maintain healthy blood pressure already in the normal range. 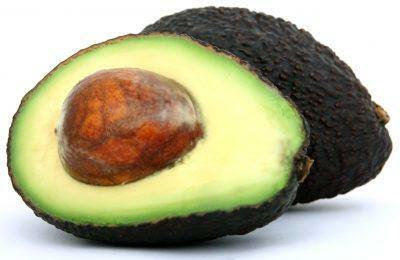 The potassium found in avocados is also useful for managing smooth muscle contraction. Smooth muscle is found all over the body, especially in the intestines and lining arteries. Potassium, therefore, promotes healthy digestion and supports healthy blood flow. Combining mashed avocado with diced tomatoes into a simple guacamole is a healthy alternative to high-fat chip dips. Enjoy it spread on raw veggies like celery and carrot sticks to avoid consuming with salty corn chips. Your heart can be subjected to some pretty unhealthy changes as a result of poor nutrition. When planning a heart-healthy meal, try to avoid some common pitfalls. Processed and prepackaged foods are stuffed full of salt and trans fats. These dietary scoundrels work against your cardiovascular system by making cholesterol levels move in the wrong direction. Fight for your heart. Treat your ticker to some tender love and care. Chowing down on heart healthy foods can support healthy circulation and maintain your heart health throughout your life. The foods you’ve just read about are delicious and easy to incorporate into your favorites meals and snacks. Take action now to support your heart’s health through improved diet and nutrition.